I was looking through my journal today thinking I might do another "today in history" post with a funny story. What I found wasn't quite what I was looking for, but as I read it I felt inspired to share it. I happened on an entry from early October 2004, when one of many meltdowns had occurred. There is nothing unusual about that, but this one was memorable because it was the Last Time I took Cuddlebug and Bearhug out by myself for a very long time (at least until several months after Bitty was born). The day lives in infamy in my memory, but I had completely forgotten the actual date. Ironically, it was the first Saturday in October, 2004, on a beautiful fall day very much like yesterday (which also happened to be the first Saturday in October). It was a simple enough venture, just an afternoon at the park. I wanted to spend some quality time just me and the boys, and I figured dh could use a break, a day to himself to relax and watch football. They were 3 yrs old at the time, and I was about 4 months pregnant with Bitty. We went to "Yellow Park," so named by the boys for its yellow play equipment. It started off fine - the boys were having a great time. Then I saw Cuddlebug messing with a swing that some older kids were playing on, making it where they couldn't swing. I went over and tried to prompt him to ask nicely if he could play, but that didn't fly. I tried redirecting him (they kids were so much older it seemed weird for me to ask if he could play with them) but he started melting down so I took him to a park bench and gave him a "time out" sitting on my lap. That basically means I got to sit there trying to keep a screaming, thrashing 3-yr-old from hurting me or getting off my lap where he'd no doubt go running off. Cuddlebug was motivated to get back to playing so he finally calmed down. By then the tire swing was empty so I tried to get him on that but of course he was no longer interested. He still had his eye on the older kids, and decided he wanted to jump over the little stream near the park like they were doing. It's not a deep stream, maybe a little over ankle-depth is all, but it was too wide for his little legs to make the jump and I needed him to stay in the playground area so I could keep an eye on both him and Bearhug at the same time. He's a stubborn persistent guy, and he had become fixated on the stream, so of course he took off and tried to make the jump. I couldn't reach him in time and sure enough, he didn’t quite make it and one foot landed in the water, which was cold and got his sock all wet. He couldn’t stand his socks to be wet so he started screaming and freaking out, making a scene. So again, I sat with him on my lap until he could calm down. He went back to playing but it wasn't long before things deteriorated again. He was playing too rough and not playing nice, things like sitting at the top of the ladder to the slide and blocking anyone who tried to go up. I was reaching the end of my patience and energy, so I gave him a warning. If he didn't stop, we were going home. Well, you can't say something like that unless you're prepared to follow through. You can see where this is going, right? He pushed someone and so that was it. I picked him up and told him it was time to go home. I called to Bearhug to let him know we were leaving. Thank goodness Bearhug was being cooperative that day, he was sad about having to leave early but he didn't argue. I felt bad for him, having to leave when he'd been playing so good, but I couldn't let Cuddlebug keep acting like that and think it was ok, and besides that it was pretty obvious he was headed for a meltdown and we needed to get out of there fast. Well, telling him it was time to go was the last straw. He threw a huge fit. Now, even though I was only 4 months pregnant, being a mom of twins, I had long since started showing and was obviously pregnant by then. Enough that it was awkward trying to hold him even when he was cooperating, but it was downright impossible with him flailing around the way he was. The best I could do was pick him up and take as many steps as possible while half-carrying / half-dragging him until I lost my grip and had to start over. You can imagine what a scene this was making, a pregnant mom with two 3-yr-olds, half-dragging one of them at a snail's pace from the playground to the parking lot as he screamed bloody murder, meanwhile the other 3-yr-old walked alongside as if nothing out of the ordinary was happening (sadly, it wasn't out of the ordinary for either of them to act like that). It's not all that far of a walk from the playground to the car, would take only 1-2 minutes (if that) under normal circumstances. But I was quickly wearing out and the number of steps I could take before he kicked and squirmed free from my grip was getting shorter each time I picked him up. Add to that, he did that thing where his legs go limp so when I tried to set him down to re-pick him up he dropped to the ground. So then I had to bend down to the ground to try to pick him up again. I can only imagine what we looked like, to be honest I was doing my best to tune everyone else out, I was totally focused on getting the boys to the car without any major injuries. I do remember people walking by going in a wide circle to avoid us and looking at us like I was insane. Can't say I blame them, I suppose. I'm surprised no one called child services to report a crazy pregnant lady dragging her son across the park, I'm sure that's what it looked like. It must have taken us 5-10 minutes to make the trek to the car, although it seemed like forever. No one asked if I needed help, honestly I don't know what I would have done if they had. As I was putting them into the car, another family was getting out of their car. I'm not sure how much they had seen, but the mom came over and asked if I was ok. I had held it together pretty well until then, but that did me in. I thanked her and told her I was fine, and fought back the tears until we got into the car. At that point I broke down. I was physically and emotionally exhausted, all I could do was sit there in the car crying. I called dh, he probably thought I was a little nutty too - after all he dealt with the boys by himself all the time, but in fairness to me, he's strong enough to carry them both even in meltdown mode, and he wasn't pregnant! He was really nice about it though (he never actually implied I was a nutcase, that is just my speculation, haha) and talked to me until I calmed down enough to drive. I swore I was NOT taking them both out by myself again until after our baby was born, and I didn't. So why am I telling you all this now? It's old news, happened four years ago. Well, as I said at the beginning, it's ironic that it was almost exactly four years ago to the day, and it speaks to how far we've come since then. Yesterday, I took the boys out by myself without a second thought, and they were awesome! It still took the usual pre-planning, making sure they knew where we were going and what to expect when we got there, how long we'd be there, and where we were going afterward, etc. And granted, there was one point toward the end where both Bearhug and Cuddlebug started escalating and I was afraid they might both have a meltdown (they were on edge from having to wait in line for the pony ride, they still have a hard time with waiting) and were fighting pretty intensely (screaming at each other and starting a wrestling match) over which one of them was going first when it was their turn (because the event was almost over and one of the horses had been taken away by that point - just our luck!). I managed to break them up, and tried eenie, meenie, miney, moe. That didn't work, and neither did rock, paper, scissors, shoe. Finally I told them that whoever went second would get a "special treat." Thankfully the horse was back and there was no time to elaborate on what that would be, or for them to start fighting over who'd get to go second (because I could see that one coming, lol). They both ended up getting a special treat on the way home, that being a chocolate shake :). Time goes so fast...but not the days we are in those situations. Wow. I read this thinking "been there, oh.. wow, I've so been there". I've been that mom dragging across the park. 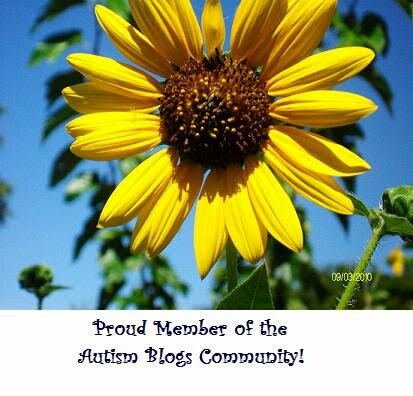 I think many moms have - autism moms (and even moms of typical kids). There was a period of time when I was unable to venture out alone with both kids - when my daughter was a baby and my son was around 4/5 and would dart. Thankfully those days are in the past now for us too. I take both kids places all the time, with adequate preparation, better ability to redirect/coping strategries, and being flexible about "plans". Thanks for sharing this - its given me perspective to see how long we've come along too and I think this grey Monday that is what I needed. I know this was 4 years ago, but it still made me cry for you! I am still having those days, but they are getting fewer & fewer. I could so relate to, oh, like ALL of that. Just yesterday I tried to take them somewhere and at the end of it all was so exhuasted that I could barely move and sat at a BK play area, head in hands, wanting to cry. But today will be better! And I can take heart, as I see in yoru post, that tomorrow will be even BETTER!!! !